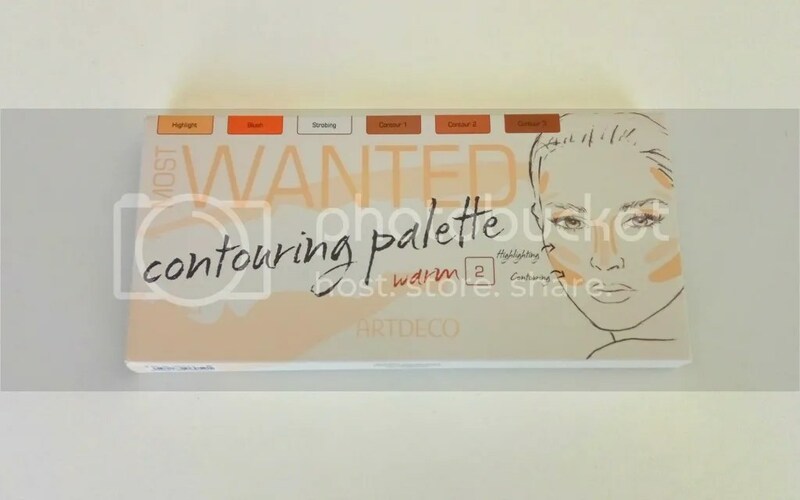 I chanced upon this ARTDECO Most Wanted Contouring Palette on a weekend trip to Germany just a couple of weeks ago and I picked it up for €24.99 at a Douglas store. I believe it was launched a few months ago, and is positioned as an on-the-go contour palette with three contour shades, a highlight shade, a blush and a strobing powder. The Most Wanted Contouring Palette comes in two shade variations – in “Cool” and “Warm”. I chose “Warm” as my skin-tone is closer to warm with my dark brown hair and dark brown eyes. 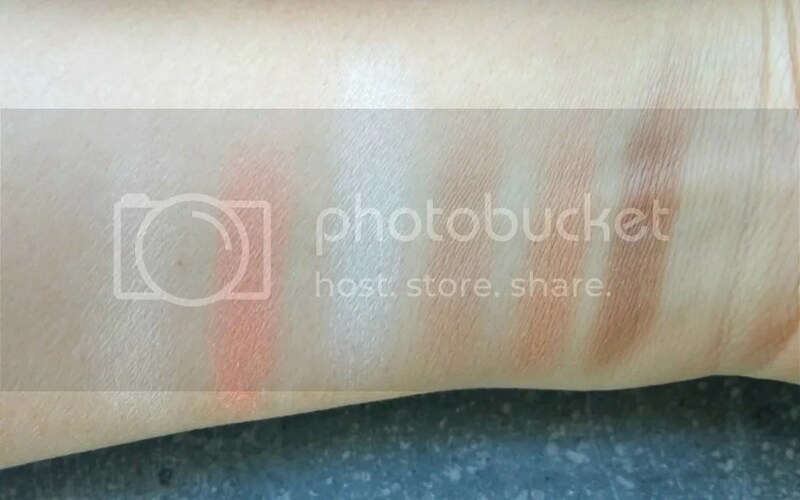 The two variations does not look that different; there is a slight tonal difference with the “warm” palette leaning slightly more orange and this is most apparent in the blush. I’ve swatched all the shades below. From the left to right, we have the highlight, the blush, the strobing powder, contour 1, contour 2 and contour 3. Each powder has a weight of 4.3g. Other than the highlight shade that barely shows up on me, the shades are generally very pigmented. They also lasted pretty much the whole day on my skin. This is a neutral matte ivory-beige shade. It does not show up on me. This is a shimmery apricot coral. This is pretty pigmented. This is a white with high sheen. Apply lightly because this is really pigmented. A slightly cooler brown – slightly grey-brown; this works really well as a contour shade. A warm light brown; there’s quite a lot of orange in this. Works better as a bronzer. A very strong dark warm brown that leans orange-brown; super pigmented. The formulation of these powders is very soft and buttery, and slightly powdery – some powder ‘fluff’ up when I touch my brush over it; I would tap off some powder before use. 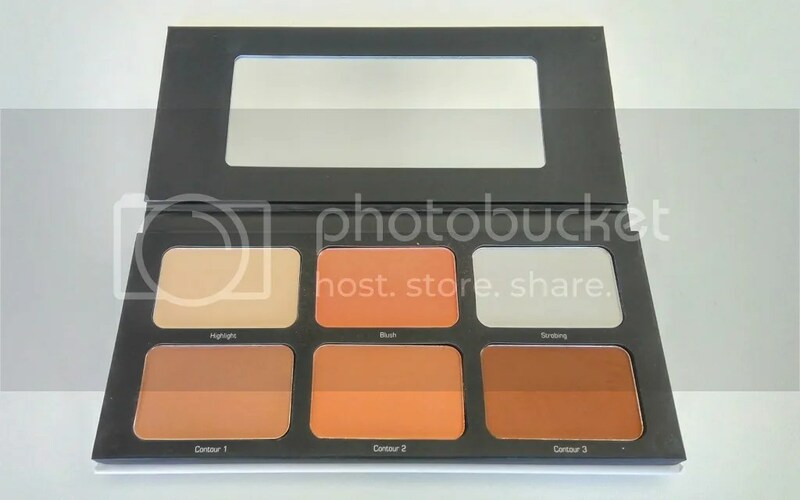 There’s also some instructions on the back of the palette on where to place the shades for your preferred effect, which I think would be useful for people new to contouring. I did have some issues with this. Contour 3 is very hard to blend out; after intense blending, I could still see a line where I had initially placed the shade on my cheekbone. I would use a fluffy brush to place contour 3 and just lightly brush over. The highlight shade also did not do much for me but I can get some use as sort of a brightening powder under my eyes. I like that it is travel friendly with a good size mirror. I really want to love this but sadly I don’t. 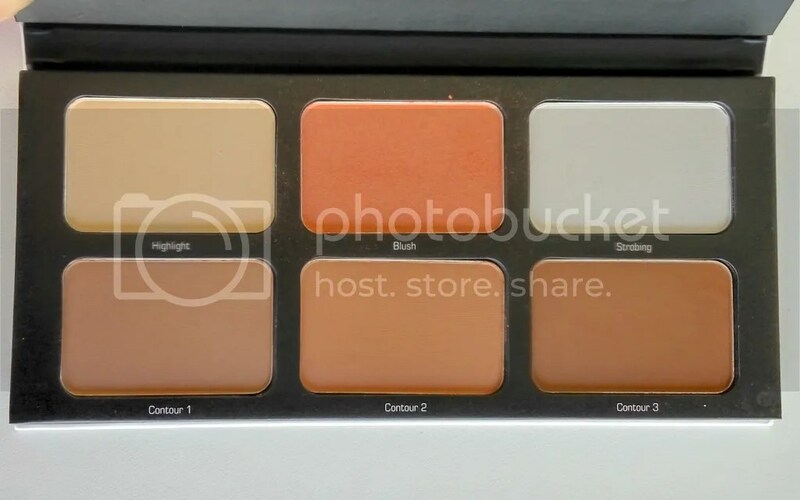 I do regret slightly getting the “warm” rather than the “cool” palette as some of the shades are too warm to work as contour shades. I like the first contour shade worked into the hairline and I like the strobe shade which gives a really pretty luminous sheen. At €24.99, I think the price is great for the amount of powder that you’re getting and the quality of the formulation is great. But unfortunately it just doesn’t really work for me.